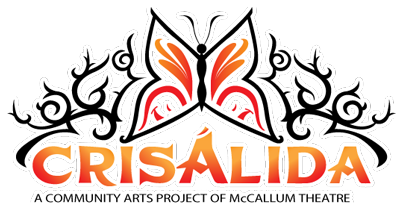 Please let us know your ideas of how the CRISALIDA MOBILE ART VAN can be of service in the four communities of the grant; Indio, Coachella, Thermal and Mecca — we look forward to hearing from you! 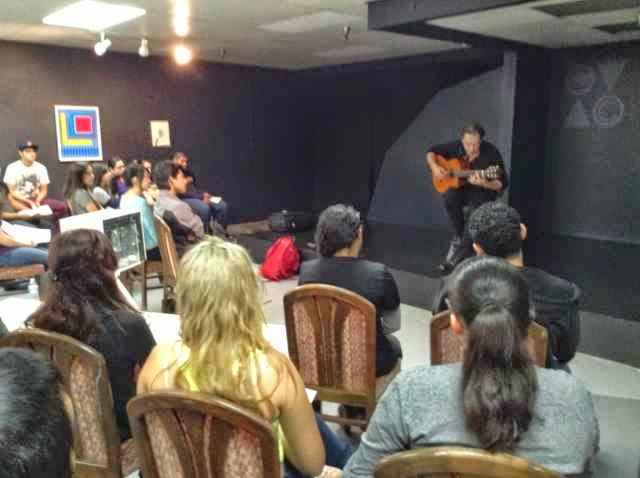 DG playing at Coachella Valley Art Center for students from College of the Desert – Indio Campus. 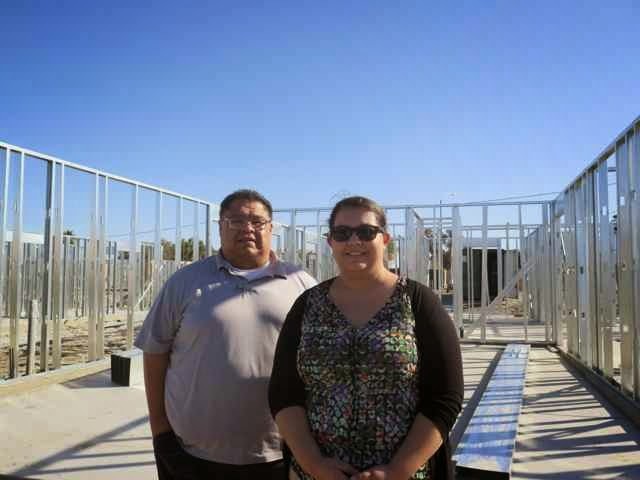 The newly-formed East Valley Rep, founded by playwright/director/educator Carlos Garcia, and Jacalyn Garcia-Lopez will focus on staging original work for a cross-cultural audience. 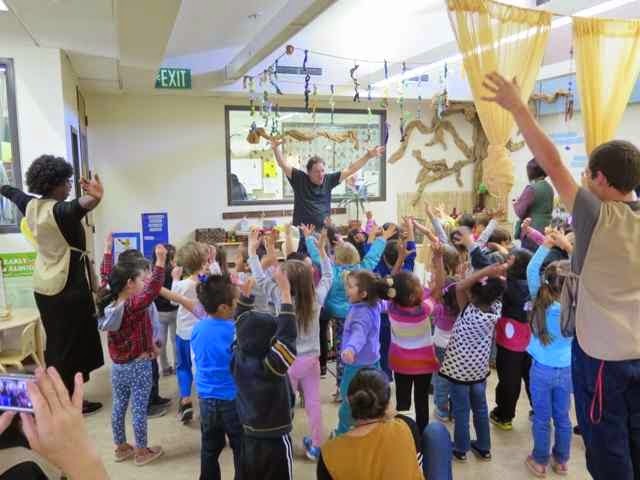 Based at the Coachella Valley Art Center (CVAC) in Indio, East Valley Rep’s mission is to develop and empower actors and writers by providing training, support, and a showcase for culturally, socially and educationally relevant productions. 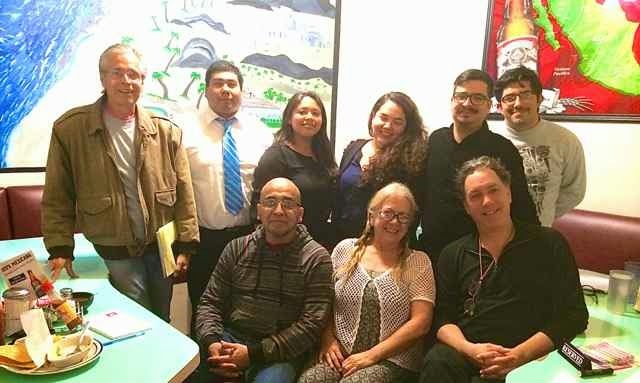 Crisalida hosted an information session at La Cazuela restaurant in Coachella to discuss our new initiatives and to get community feedback and support. A hearty conversation was had, as well as some delicious food! 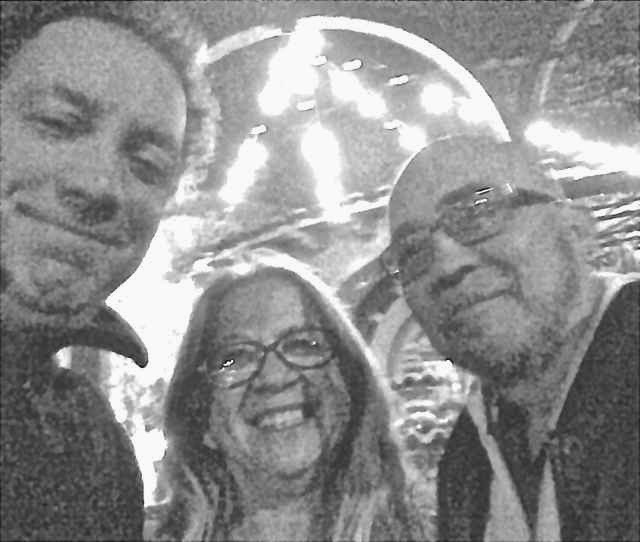 It is always a pleasure to visit the CULTURAS MUSIC AND ART folks (Yaya Ortiz, Ruben Gonzalez, Jon Becerra, and all the rest!) 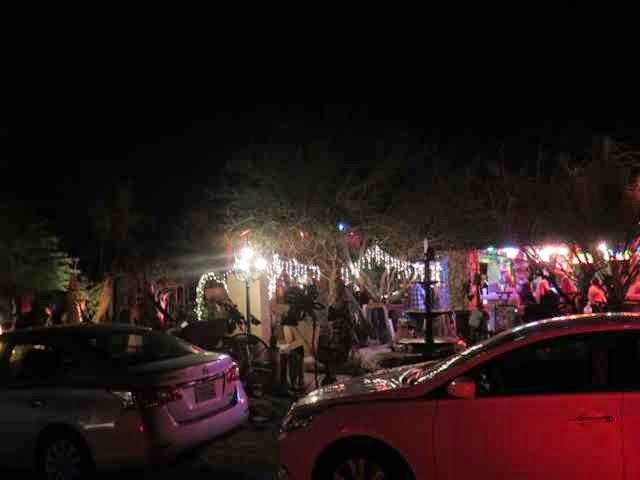 at the amazing RANCHO TENOCHITLAN in Coachella. They hosted a book reading by Aneta Cruz, and art display by Cecelia Cruz that was attended by about 50 people with music, conversation and performance. I was thrilled to be invited to read a section from Aneta’s book “The Mysterious Mandolin”. My camera was out of memory, so all I got was this shot from the outside…just trust me, it was a blast. 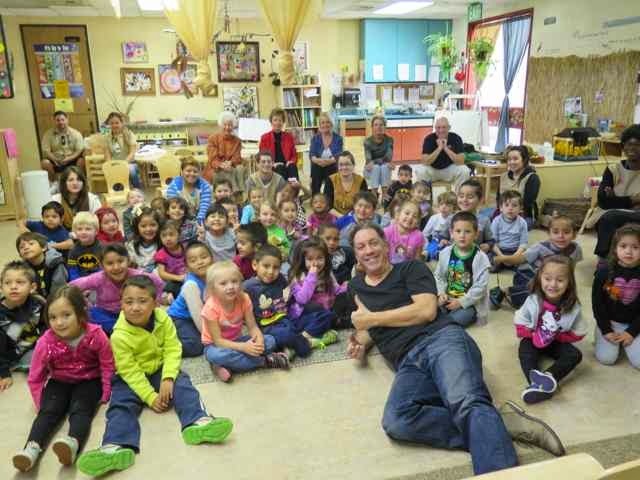 I received an invitation from Mayra Juarez, the director of the McCarthy Family Child Development Center at COD, to perform for the pre-school kids, many of whose parents are students from the East Valley who use this phenomenal facility while they are in class. Got to say…I love my job. Gina Chapa and I spent a fascinating and inspiring afternoon with Joe Mota and Nicole Sanchez from the Coachella Valley Housing Coalition. 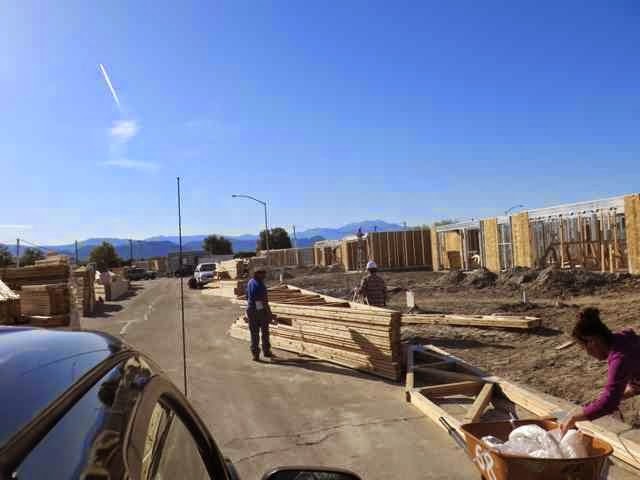 Community members performing sweat-equity on their new homes. 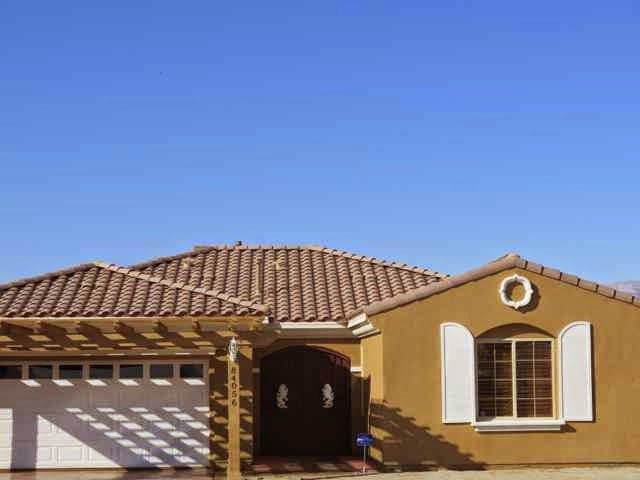 Each family is required to give 40 hours per week to their home, up to ten families work cooperatively with the help of CVHC mentors. What the finished result will be! 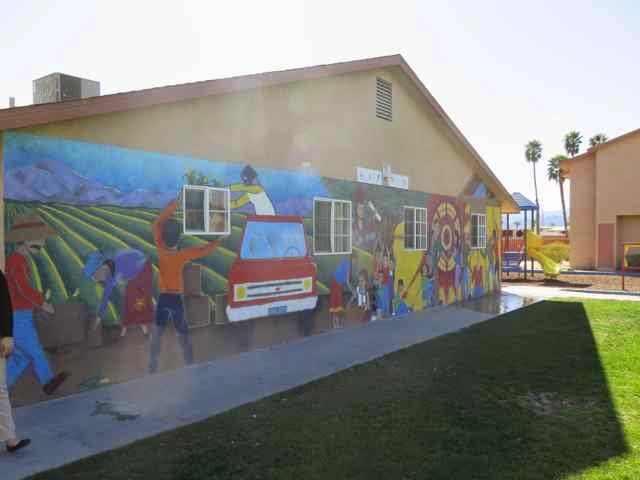 CVHC makes the American Dream a reality for its contituents. 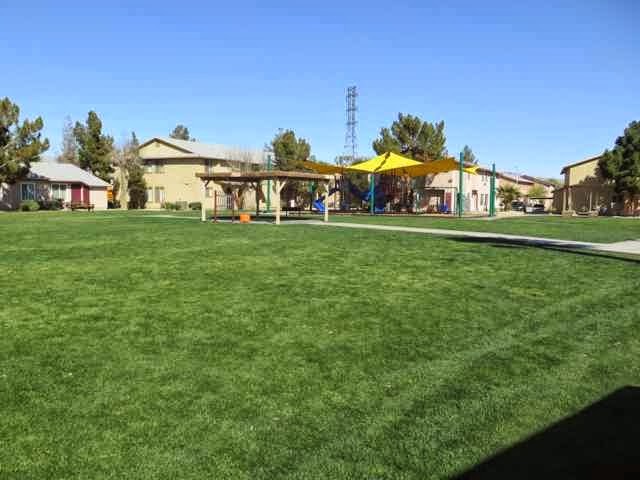 Village green at CASA UNO, one of CVHC’s housing projects will be a perfect spot for our Crisalida van to do community outreach. I will be performing and conducting interviews there next week. Whew. It is hard to compress all the people, places, images, feelings, ideas and points of inspiration into a 2 dimensional cyber-post…I hope you get the gist of the excitement I feel, and the hope of this project.